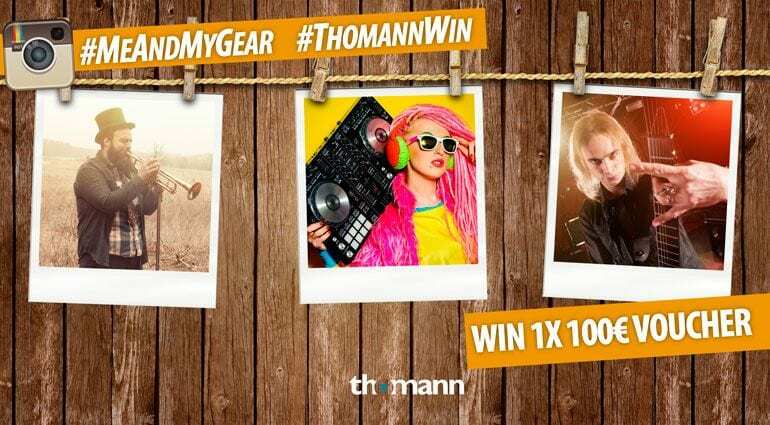 Upload an image of yourself together with your gear and use the following hashtags #MeAndMyGear and #ThomannWin in Instagram. The image can be an action packed shot of you on stage or even a cozy selfie taken together with your beloved instrument at home, in the studio or wherever you like. Let your imagination run wild! The contest starts on Saturday, the 27th of February 2016 and ends on the 26th of March 2016 at 23:59:59. A gift certificate of 100 euros will be randomly drawn and given to a lucky winner every week on Monday during these four weeks. This means that the first winner is drawn on the 7th of March, the second on the 14th of March , the third on the 21st of March and the fourth on the 28th of March of 2016. All winners will be contacted via private message and will be announced right here in this blog article. Here are the terms and the conditions. Can’t wait for those snapshots! 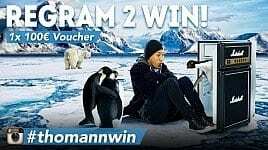 Regram 2 Win! 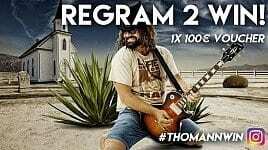 €100 gift voucher to be won! Who won the last week?